Breakout or fakeout? NZD/JPY has found a bit of support after breaking below a rising channel (and the 76.00 MaPs) on the 1-hour time frame. 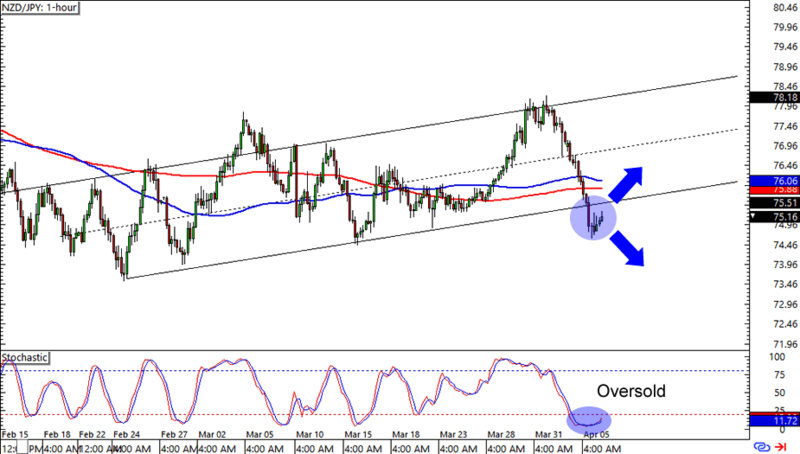 What makes this setup interesting is that stochastic is now sporting an oversold signal. Does this mean that we’re looking at a fakeout? You can wait for a bit of upside momentum if you want to buy the pair, but you can also sell at new lows if you think that the pair has indeed broken below the channel that we spotted. Breakout alert! 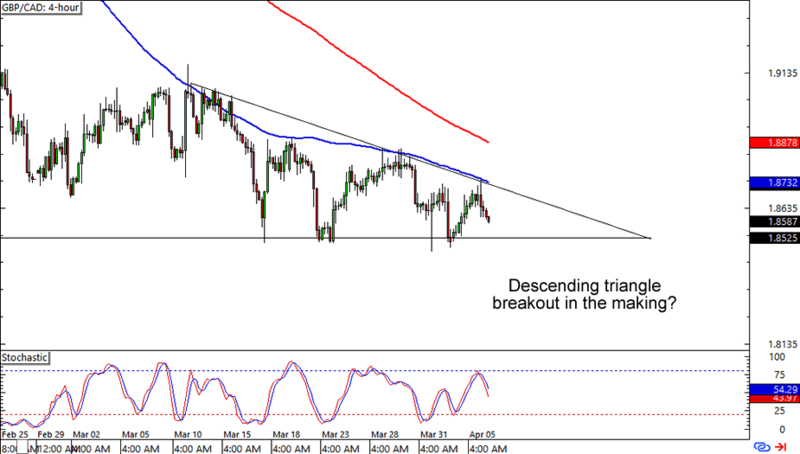 GBP/CAD is lollygagging inside a descending triangle on the 4-hour chart. If you’ve read the School of Pipsology, then you’ll know that the pattern doesn’t necessarily herald a downside breakout. Right now the 100 SMA is successfully keeping the bulls at bay, but the tides could always change and we could also see a upside break. Keep close tabs on this one especially now that the pair is near the end of the triangle! 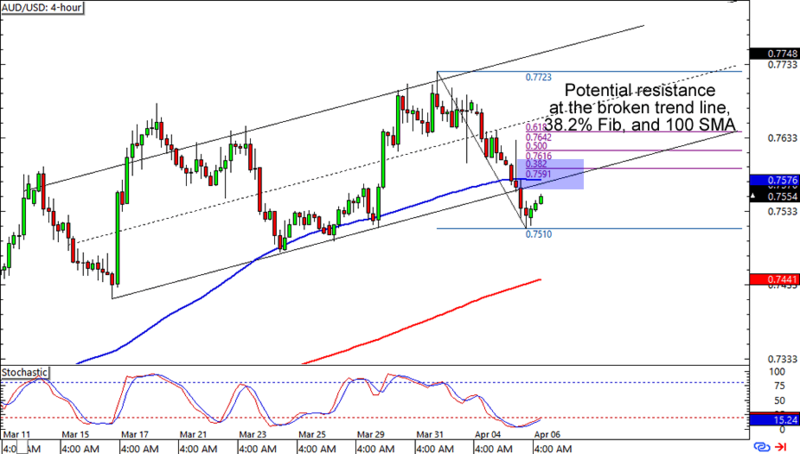 Last one up for today is a potential resistance after AUD/USD has broken below a rising channel. The .7600 area is looking tight for a possible bounce especially since it’s also lining up with the 38.2% Fib, 100 SMA, and the broken trend line. You can look out for bearish candlesticks around the resistance zone for possible short opportunities if you think the Aussie is in for more losses. Of course, you can also buy at current levels and place a tight stop loss if you’re one of them Aussie bulls.